West Cairn Hill © Copyright Chris Eilbeck and licensed for reuse. 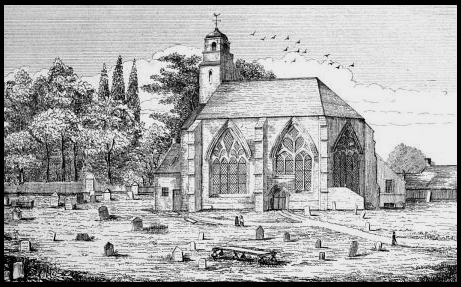 Buried in the historical sources are clues to the location of a “lost” James Renwick field preaching on 1 June 1684. It can now be pinpointed for the first time. From the records, it appears that the authorities did not find out about the preaching until a few weeks later. At that point, they appear to have confused separate intelligence reports from Edinburghshire and Peebleshire about a field preaching to create two preachings in almost exactly the same location a week apart. The simplest explanation for the confusion is that the intelligence reports from Peebleshire misdated the preaching by a week to create a second preaching on 8 June. The preacher was almost certainly James Renwick, who was the only active field preacher in 1684. We know that Renwick preached at Black Loch in Lanarkshire on 8 June. Fountainhall indicates that the confusion over the location of the preaching was resolved after a hearing determined it was held just inside of Tweeddaleshire, i.e., Peebleshire, rather than in Midlothian, i.e., Edinburghshire. The resolution over the disputed location was important, as the determination of the correct location affected which heritor was to be held responsible. The other sources mention two field preachings, when they should refer to one. Where are Colstouneslope and Cairnhill? ‘Colstouneslope’ is Cauldstane Slap, a pass across the Pentland Hills. It lies exactly on the boundary between Mid Calder parish in Edinburghshire and Linton parish in Peeblesshire. ‘Cairnhill’ refers to East and West Cairnhill, which are the hills on each side of Cauldstane Slap and mark the line of the shire boundary. Cauldstane Slap Iain Macaulay © Copyright Iain Macaulay and licensed for reuse. Cairnhill and Cauldstane Slap are one and the same location. 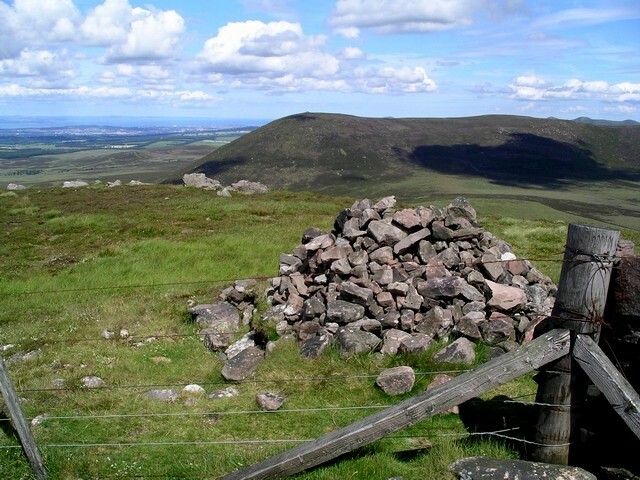 That strongly suggests that one conventicle took place in the Pentlands on the boundary between Edinburghshire and Peeblesshire on 1 June somewhere on, or near, West or East Cairnhill. 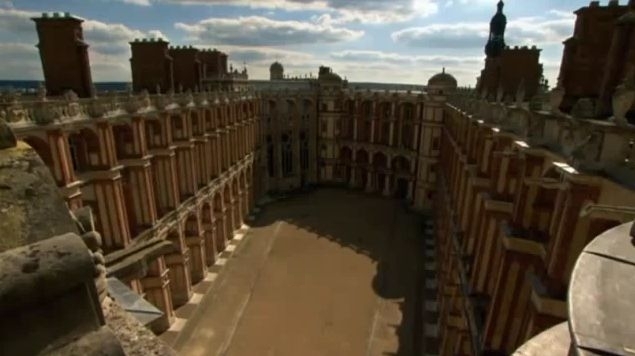 As we will see below, the exact site of the field preaching has been discovered. The Society people were almost certainly responsible for that conventicle. None of the sources listed above named the preacher at the conventicles. However, it is almost certain that James Renwick, the only presbyterian minister field preaching in mid 1684, was responsible for it. 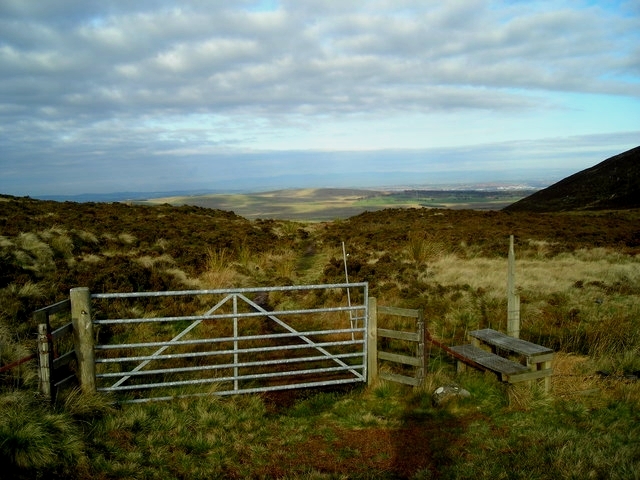 While the Societies were well organised in the parishes to the west of the Pentlands, there is no evidence that a comparable level of organisation existed among the scattered militant presbyterians in the parishes to the east of the Pentlands in northern Peeblesshire. The Societies did operate in Peebleshire, but their main recorded area of activity lay in the south-west of the shire in Tweedsmuir parish. The response of the authorities indicates that they suspected that at least some of the audience for the preachings had either come from, or journeyed through, Peeblesshire. The earl of Tweeddale’s claim that he had heard the conventicle some days later from his deputies probably indicates that there may have been some evidence to back up that view. However, the government’s concerns about the response of their officers in Peeblesshire should not obscure the fact that most of the conventiclers had probably come from west of the Pentlands. Renwick’s appearance on the edge of Peeblesshire exposed a security problem for the authorities. In comparison to the Western shires, which were dotted with garrisons to suppress open presbyterian dissent, Peeblesshire was not heavily policed by government forces. That situation left the authorities far more reliant on the network of local heritors in the shire to inform them about seditious activities. Clearly, in this case, that system had manifestly failed, as six weeks after the preachings the committee of public affairs wrote to Blackbarony, Stanhope and Dawyck to inform them about the preaching and to chastise them over their failure to act. Boghall Castle © Copyright Walter Baxter and licensed for reuse. The fact that Blackbarony, Stanhope and Dawyck were to rely on government forces garrisoned outside of Peeblesshire at Boghall to ‘apprehend the hearers and preachers’ from the conventicle only reinforces the impression of failure. The Boghall garrison was based at Boghall Castle, the ruins of which lies just outside of Biggar, Lanarkshire, at the southern end of the Pentland Hills. The three men responsible for suppressing presbyterian dissent in Peeblesshire at the time of the preachings were all heritors in northern or western Peeblesshire. 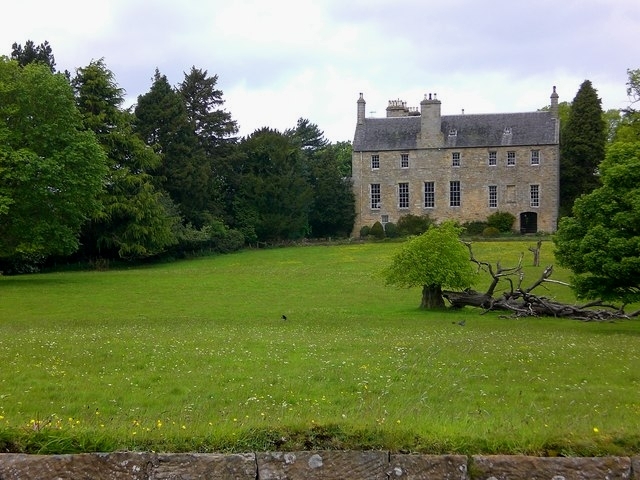 Sir Archibald Murray of Blackbarony resided at Blackbarony Castle in Eddleston parish. Today, his house is a hotel. Sir William Murray of Stanhope (d.c.1690) resided at Broughton in Broughton parish. His second son, Captain James Murray, served the Jacobite cause under James VII and died in exile at the palace of St Germain in France. Dawyck © Copyright Richard Webb and licensed for reuse. John Veitch of Dawyck lived at Dawyck in Drumelzier parish. His house was pulled down in the 1830s and its stone reused to build the present house. 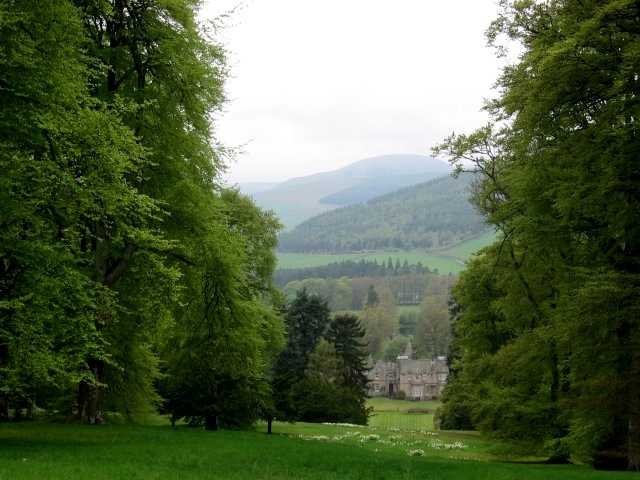 Dawyck is still a private residence, but the heart of his estate is open to the public as a Royal Botanical Garden. 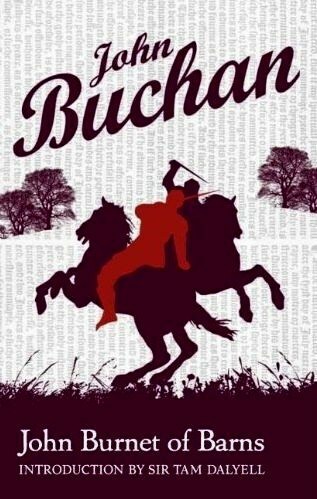 Dawyck and countryside of western Peebleshire was used by John Buchan as the setting for his first novel, John Burnet of Barns, which deals with the political turmoil of the 1680s and the Killing Times. Dead Wife’s Grave © Copyright Jim Barton and licensed for reuse. A short walk from the Dawyck Botanical Garden is the ‘Dead Wife’s Grave’, which is alleged to have some connection to Montrose’s defeat at battle of Philiphaugh in 1645. Although Blackbarony, Stanhope and Dawyck were rebuked for their failure to respond to the field preachings, most of the committee’s ire was directed against the earl of Tweeddale and lord Torphichen, for not informing them about the “conventicles” which had taken place between their estates. 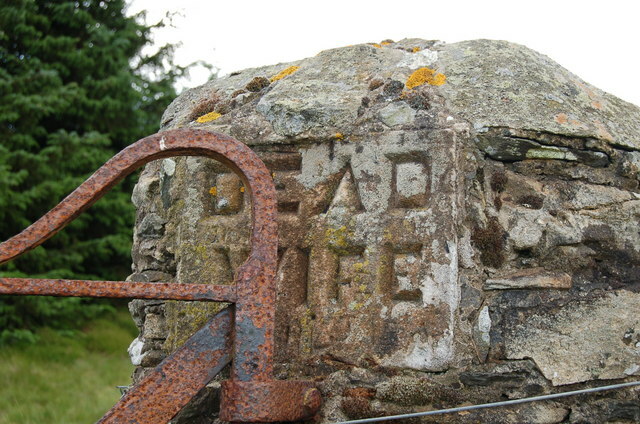 As mentioned above, the council finally determined that the preaching had taken place in Teeddale/Peeblesshire. Thus the earl of Tweeddale, who was the heritors of the land on which the preaching was held, ultimately was blamed for failing to act. Renwick’s preaching had taken place on Tweeddale’s lands in the barony of Linton in West Linton parish. 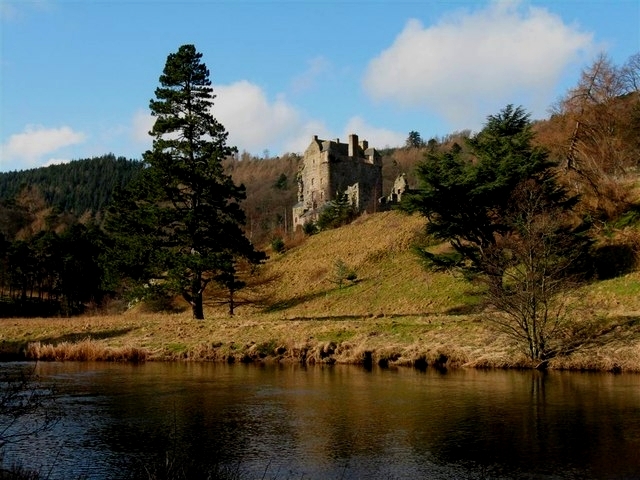 The barony of Linton was not Tweeddale’s only holding in Peeblesshire, as he also held the barony of Neidpath around his residence at Neidpath Castle, which lies just to the west of the burgh of Peebles. Neidpath Castle © Copyright M J Richardson and licensed for reuse. Tweeddale was not hostile to the Restoration regime, but he did have moderate presbyterian connections. He was a political survivor. In the 1640s and 1650s, he had fought for the Covenanters, both for and against Charles I, and served in Cromwell’s puppet regime. However, when the monarchy was restored in 1660, Tweeddale had reinvented himself as a loyal supporter of the Restoration regime. Throughout the latter period, his fortunes ebbed and flowed with the tide of court politics. 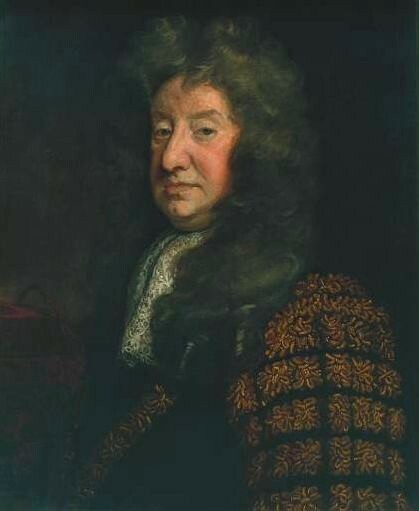 After the Restoration, he held various posts, but he fell out of favour when the Duke of Lauderdale controlled Scottish politics and had to wait on Lauderdale’s fall in 1679 make a political comeback. Yester House © Copyright ronnie leask and licensed for reuse. 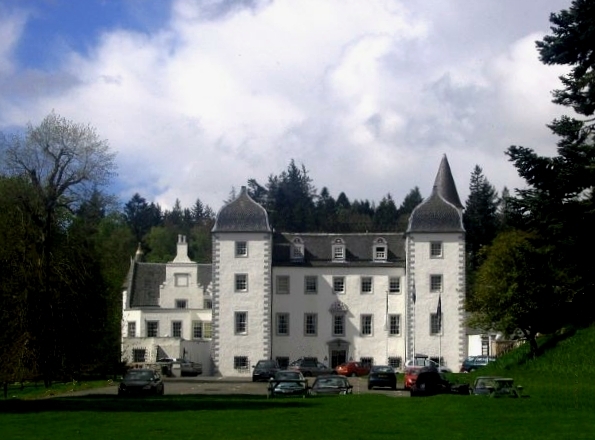 Tweeddale was also plagued by debt throughout the Restoration period and in 1686 he was forced to sell off all of his Peeblesshire estates to satisfy creditors. At the Revolution in late 1688, Tweeddale completed another political volte-face and backed William of Orange against James VII. He also restored his family’s fortunes. In December 1694 he was elevated 1st Marquis of Tweeddale and made 1st earl of Gifford by William II & III. 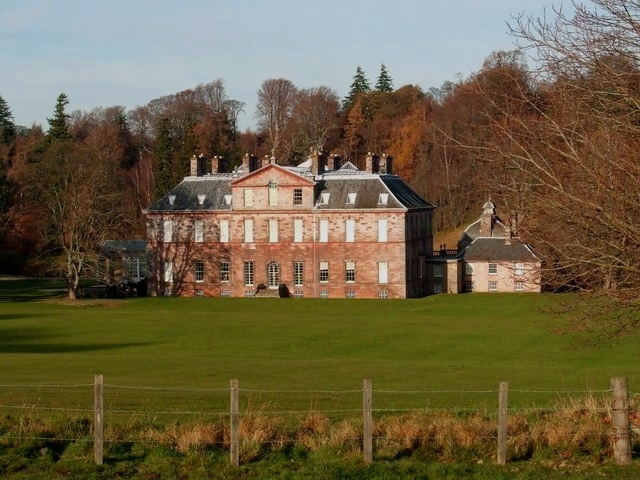 On his death in 1697, his son was able to commission the fashionable Scottish architect, James Smith, to build a new residence, Yester House, at the family’s seat at Gifford in East Lothian. Smith’s work was much in demand. Besides his own house at New Hailes (now owned by the NTS), he also worked on Caroline Park, Drumlanrig, the Canongate Kirk, George ‘Bluidy’ Mackenzie’s Tomb, Hamilton Palace and Dalkeith Palace. Calder House © Copyright Paul Thomson and licensed for reuse. 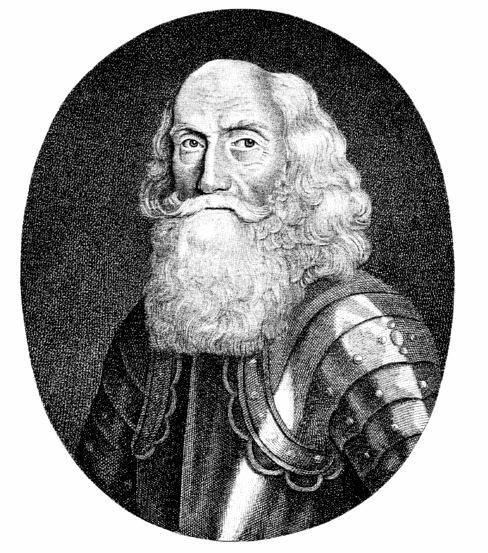 The inclusion of Lord Torphichen among those hauled up for Renwick’s preaching, who held lands around Calder House in Mid Calder parish and in West Calder parish, indicates that the committee’s wrath also initially extended to heritors in Edinburghshire/Midlothian. The preaching at Cauldstane Slap/Cairnhill lay on the boundary of Mid Calder parish, but was eventually determined to have been outside of the shire. As readers of this blog will know, I have previously discussed some possible locations for Renwick’s field preaching at ‘Woolf-hole-craig’, but came to no firm conclusion. After reviewing the evidence about the preaching at Cairnhill an identification of that ‘lost’ preaching site is possible. Since Renwick’s preaching at Whinn Bog by Black Loch in New Monkland parish was held in 8 June 1684 and his preaching at Greenock in early August 1684, it is a reasonable assumption that the ‘Woolf’s-hole-craig’ preaching dates to around the same time frame, although technically it may date to any point between Renwick’s return to Scotland in late 1683 and early September 1684. What is clear is that the authorities in Edinburgh knew about the three conventicles and believed that Renwick had preached at them. We know that government forces responded to his other field preachings at Black Loch and Greenock, but there appears to be no obvious record of a response to the ‘Woolf-hole-craig’ conventicle. Why? The reason why there appears to be no response to the Woolf-hole-craig preaching is that it had been previously recorded as the preaching at Cairnhill/Cauldstane Slap. Is Cairnhill/Claudstane Slap the site of the ‘Woolf-hole-craig’ preaching? On modern OS maps nowhere is recorded as ‘wolf hole craig’. However, there are other possible sites for ‘Woolf-hole-craig’ among the placenames which contain the ‘wolf’ element. Despite the obvious parallel between the placenames, one very unlikely contender is a hill called Wolf Hole Crag, which lies deep in northern England, as it is located too far to the south of both Renwick’s support base and any location where he is known to have preached. 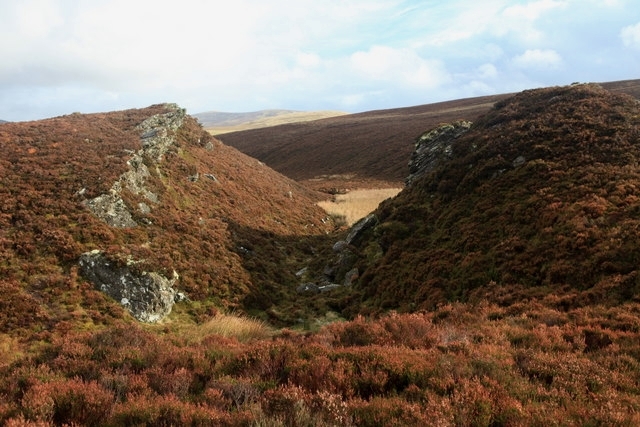 Wolf Hole (NU 094 033), near Rothbury in Northumberland, and Wolf Crags (NY 355 221), near Keswick in Cumbria, are slightly more promising, as we know that the Societies did have a small presence in both shires and that Renwick occasionally visited Northumberland. However, the site of ‘Woolf-hole-craig’ must lie in Scotland, as the proclamation which mentions the three illegal conventicles was issued in Scotland. There are few sites on the OS maps for Scotland which contain the ‘wolf’ placename element and even fewer which contain anything approaching two placename elements of ‘Woolf-hole-craig’. There is a Wolf Craig (No 380 824) deep in the Grampian Mountains, but that ludicrously remote location can be instantly discounted. Two other contenders around Stirling do not even appear on the OS maps. They are Wolf’s Hole Quarry near Bridge of Allan and Wolf Craig in Stirling. Of them, Wolf’s Hole Quarry is the superior option in terms of the type of site that was used by the Societies for field preaching, as it lies on the edge of Ochil Hills and sits on the boundary of Stirlingshire and Forfarshire. However, both sites near Stirling can probably be discounted, as they lie at quite distance to the north of both Renwick’s support base and any other site where he is known to have preached. Wolf Craigs © Calum McRoberts and licensed for reuse. By far the best site for ‘Woolf-hole-craig’ is Wolf Craigs (or Wolf Crag on one OS map), which lies at the southern tip of West Cairnhill by the Baddinsgill Burn. Wolf Craigs is the only site recorded on the OS maps of southern Scotland which contains two placename elements of ‘Woolf-hole-craig’. 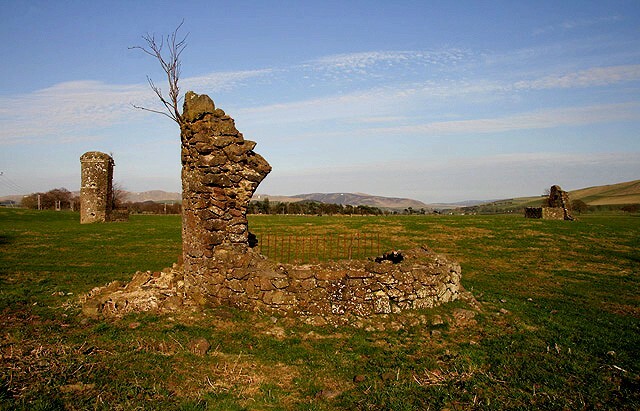 Where the site in the Pentlands stands out from the other candidates is when one recalls Lord Fountainhall’s description of the location as ‘onlie a penny stone cast of the March’ between Edinburghshire and Peeblesshire. Wolf Craigs is precisely in that location. There is no doubt that ‘Wolf-hole-craig’ aka. Wolf Craigs is the site of the preaching at Cairnhill/Cauldstane Slap. The identification of the site also confirms that James Renwick was the preacher there on 1 June, 1684. Like other preaching sites used by the Societies, Wolf Craig is a shire boundary site and lies close to where three shires meet (i.e. where Lanarkshire, Peebleshire and Edinburghshire meet). The Societies favoured march sites for their field conventicles and conventions for security reasons, as they were isolated, and for organisational reasons, as they allowed the societies in two or three shires to pull their resources and networks to organise the preaching. For similar three shire sites used by the Societies, see Mungo’s Well, the preaching at the back of Cairntable and Black Loch. ~ by drmarkjardine on February 9, 2011. What a pleasure to find this website. I look forward to visiting some preaching sites in the summer. I am a member of the Scottish Covenanters Memorial Association.